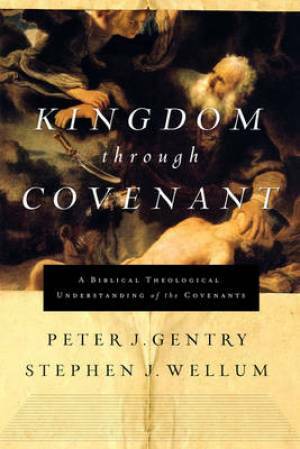 For anyone involved in the theological schools known as Dispensationalism, Covenant Theology, or New Covenant Theology, you may be interested in reading several reviews of Kingdom through Covenant: A Biblical-Theological Understanding of the Covenants, written by Peter J. Gentry and Stephen J. Wellum. Kingdom through Covenant is a proposed third option when considering the strengths (and weaknesses) of Dispensationalism and Covenant Theology. Both “systems” of reading the Bible have a large number of advocates and have been represented well within academia. Thus, Gentry and Wellum provide a somewhat controversial work in that they are going to challenge some pretty strong opinions in the world of evangelical theology. What’s interesting about the reviews is that Bock represents a Progressive Dispensational view, Moo represents what I would consider closer to New Covenant Theology (the perspective that is found in Kingdom through Covenant, though they use different terminology at times), and Horton represents the Covenant Theology view. Thus, you’ll find a healthy amount of interaction throughout the reviews. I’ve been reading (and now rereading) Kingdom through Covenant. I already held to essentially the very theology that the author’s advocate, but recognize that their scholarly work takes ideas and questions I previously had and provides an enormous amount of references and resources to consider in the future. In fact, I’d suggest that if one is Reformed in soteriology, Baptistic in ecclesiology (and in relation to the ordinance of Baptism), and an advocate of inaugurated eschatology, this work will be a great benefit to you. Check out the reviews. If you’re reading through Kingdom through Covenant, what are your thoughts? What are the strengths and weaknesses? What do you think about the reviews? It looks really good. I can’t wait to read it myself. I am curious to see how they handle questions related to biblical law and the New Covenant. That is the real sticking point between Covenant Theology and New Covenant Theology.